San Francisco Bay Brand’s new Coral Cuisine frozen food. 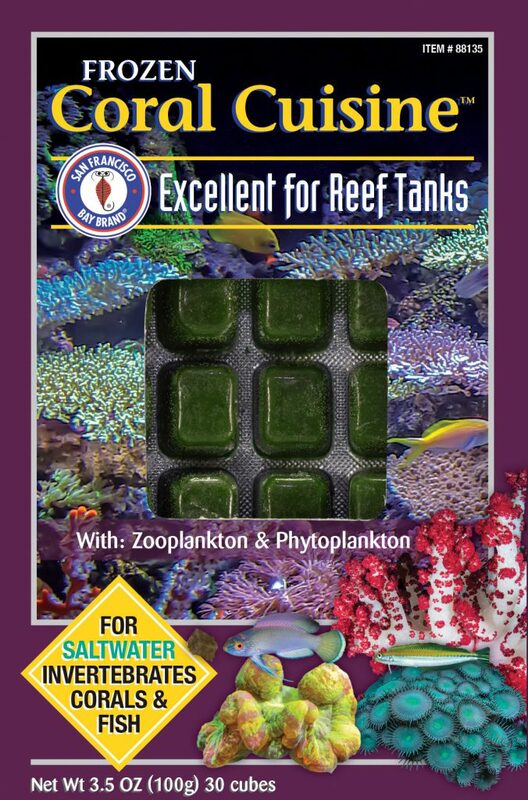 Coral Cuisine is specially formulated for healthy coral feeding and growth. We use two different binders at a very low inclusion rate. One helps to succeed a proper dispersion time. The other is a source of minerals essential for coral skeleton growth. 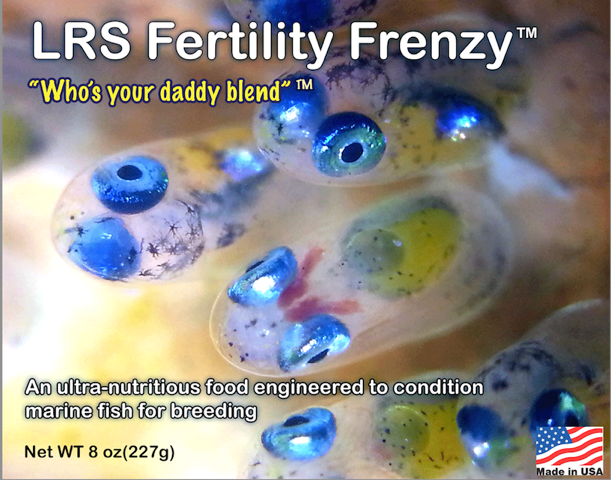 This formula is a mixture of phytoplankton, zooplankton and macroalgae that stimulates corals natural feeding behavior. The balance between algae matter and organic food matter, and chelated vitamins and minerals helps promote healthy coral growth. Flash frozen with liquid CO2 for superior product quality.